Investing in lower-rated bonds usually results in higher defaults, which can decimate portfolio returns. Accordingly, lower-rated bonds carry higher yields to compensate for the higher risk of default. Portfolio returns are obviously enhanced when such bonds avoid default. Investors may achieve lower-than-average defaults by sharpening their credit analysis skills. Table 3 gives estimates of one-year default probabilities for each rating category, according to Fitch Ratings. The table shows that investment grade bonds (i.e. those rated BBB or above) typically have less than a 1% chance of defaulting in a single year. Source: Income Builder calculations from WSJ Online data, originally sourced from Fitch Ratings. It should be noted that this table was originally produced in 2008 and has not been updated. So the one-year default probabilities are almost certainly wrong. It is intended to provide readers with a sense of the magnitude of the differences in one-year default probabilities between lower-rated and higher-rated corporate credits. By comparison, high yield or junk bonds, those rated BB and below, have much higher one-year default probabilities. While the default probabilities for lower rated corporate seem high – for example, we have not seen 30% of CCC-rated bonds fail during the past several years – near-term default probabilities are generally much higher for lower-rated credits. The message here is that lower-rated companies are typically much more vulnerable to default when the economic conditions weaken. Despite some lingering concerns that get expressed from time to time in the media, credit ratings are an excellent indicator of credit quality. The reputations of the credit ratings agencies were clearly tarnished in the sub-prime mortgage meltdown (when AAA-rated bonds backed by those mortgages fell sharply in value because of rising mortgage defaults). Yet, the value of corporate credit ratings from the major ratings agencies has been proven over many decades. I prefer to use credit ratings as an initial indicator of the creditworthiness of a bond. After that, I will almost always perform my own credit analysis to confirm the credit rating for myself. Besides the key credit measures given below, I use many of the same measures that stock analysts use, such as profit margin trends, projected cash flows and market share dynamics, to name a few. Since bondholders have a more senior claim against the assets (and therefore the cash flows) of a company, they typically enjoy a greater margin of safety. Stock analysts must be concerned with the actual levels of corporate profits and cash flows, because variations in these can have a big impact on stock prices. To be sure, changes in earnings and cash flows also affect the value of a bond. A drop in corporate earnings will usually cause the yield spread to widen, as the market raises its estimate of default risk. However, dollar for dollar, the impact of earnings changes on bond values and yield spreads is typically more muted with bonds than with stock prices. Bond analysts also focus on earnings and cash flows, but they are more concerned about the degree to which the earnings, cash flows and assets provide adequate coverage for their interest and principal payments. Often, the choice of where to invest in the capital structure can have a big impact on overall returns. 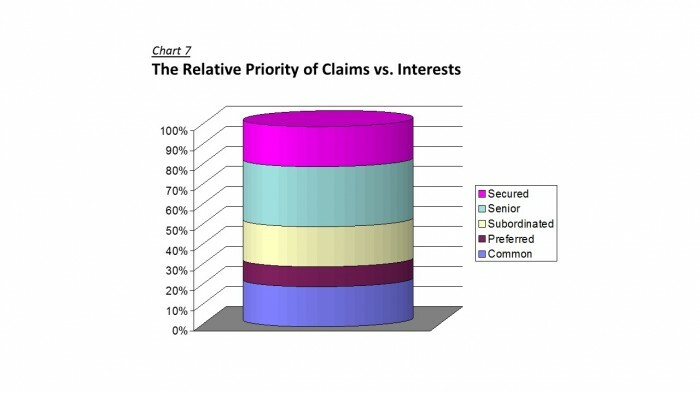 Chart 7 shows the relative priority of claims by creditor class. Secured claims rank highest. Secured bonds give investors powerful rights which often ensure the full recovery of principal and interest, even in a bankruptcy. Financial risk increases as we move down the capital structure. In a bankruptcy, senior unsecured bonds will usually recover less than secured bonds, but more than subordinated bonds. Common equity is at the bottom of the pile. It is often the case that shareholders get wiped out completely in a bankruptcy. Bondholders at the lower levels of the capital structure usually receive a higher yield to compensate for the added risk, but unless the company’s prospects are good, this slightly higher yield often proves to be inadequate. While diligent credit analysis can help to investors to avoid defaults, it cannot do so under all conditions. This is especially the case during a general financial crisis or geopolitical event that can result in a sudden downshift in economic conditions and a deterioration in investor confidence. In these cases, it is not unusual to see companies (or even governments) with relatively solid credit ratings be forced into default and a restructuring of their obligations. In recent years, stress testing has provided an important adjunct to traditional credit analysis. Under this methodology, certain assumptions are made about key economic and financial market conditions, such as a spike in interest rates or a collapse in certain currencies, to determine the potential impact on a financial institution’s ability to maintain its liquidity and meet its debt obligations. This methodology can be extended into other areas – for example, non-financial corporations and even investment portfolios – but it is also likely that no stress testing methodology can capture all of the potential “black swans” that could negatively impact an entity’s liquidity and solvency. Debt Service Coverage: This is a measure of the ability of a company to meet its debt service obligations. It is usually expressed as the ratio of earnings or cash flow divided by interest expense. Many analysts use EBITDA (or earnings before interest, taxes, depreciation and amortization) divided by interest expense. Typically, the higher the number the better. So a company with an EBITDA-to-interest expense ratio of 6-to-1 is usually in a stronger financial position than a company with a 1.2-to-1 EBITDA-to-interest expense ratio. But it is important to consider required capital expenditures in the analysis. Many analysts reduce EBITDA by the annual amount of required capital expenditures before calculating debt service coverage. It is also important to compare individual company debt service measures against industry averages. If the company’s cash flows are stable, it should be able to operate with higher debt levels. Thus, a company with a 2-to-1 coverage ratio may sometimes be a better credit risk than a company with 5-to-1 coverage. Debt-to-total capitalization. A measure of financial leverage. Total capitalization equals the sum of debt and equity on the balance sheet. So the debt-to-total capitalization ratio tells you what proportion of the company’s total capitalization consists of debt. Here again, it is important to compare your company against industry averages, since some industries, like finance companies, usually operate with higher debt levels. It is also important to take into account, by reading carefully the financial statement footnotes, debt that may carried off the balance sheet. Liquidity. Usually measured as cash and equivalents plus amounts available to be borrowed under bank credit lines. If possible, check the financial tests, called covenants, included in the bank agreements to determine whether the company has sufficient flexibility to borrow from its banks as needed. Compare calculated liquidity to the cash flow that a company generates each year less annual capital expenditure requirements and upcoming debt repayment obligations.